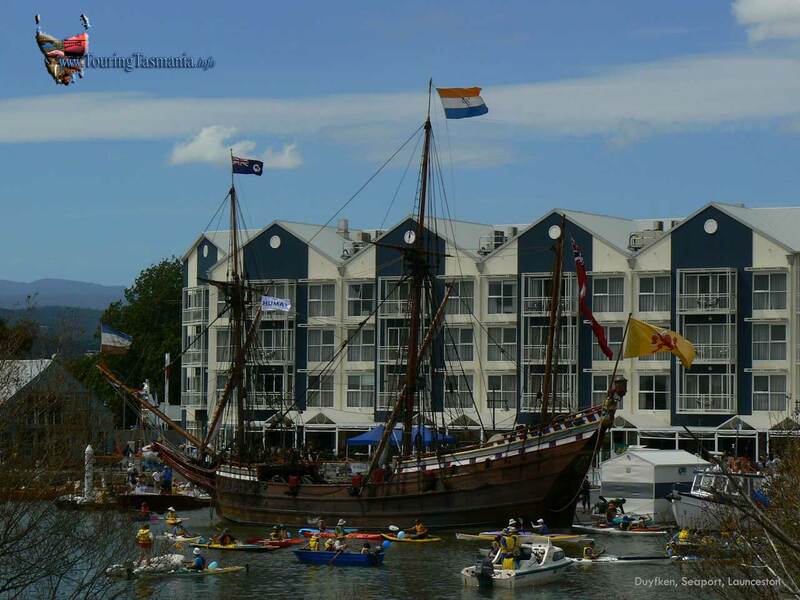 Launceston, with a population of about 100,000 has plenty to offer including cultural and sporting venues, interesting country towns nearby, historical buildings and the natural bushland setting of the cataract gorge virtually in the city. 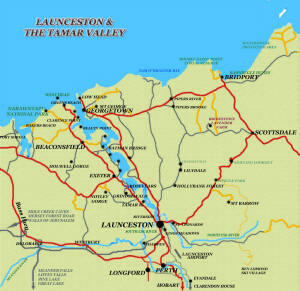 With The Tamar Valley tourism and wine region to explore Launceston is a very popular tourist destination. 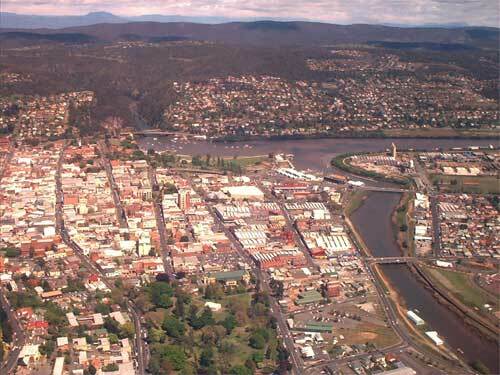 ABOVE: Launceston City from the air looking west. The City Park is at the bottom centre. Brisbane Street, the main street, is to the left of the park. The North Esk river is on the right which flows into the Tamar River in the centre of the picture. The South Esk river flows through the spectacular Cataract Gorge ending at the yacht basin. Virtually all of the Great Western Tiers can be see on the horizon. 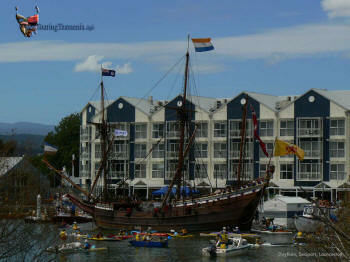 RIGHT: Duyfken docked the The Seaport waterfront precinct on the North Esk river. The Seaport is just above the second bridge in the picture above. Click image for a 1280 pixel view. LEFT: Morton House is at the top left. The first anesthetic in the southern hemisphere was performed here. It is now one of Australia's leading restaurants - Fee & Me. The old Post Office Clock is next to Morton House. 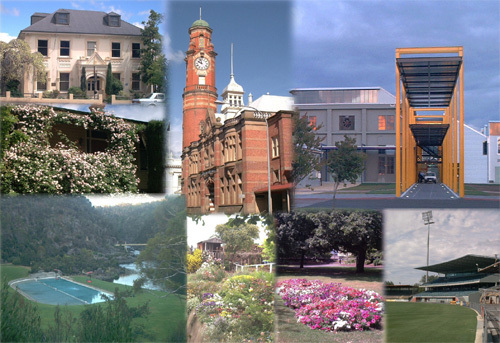 Launceston has numerous old colonial buildings. Guided walks are available. The pool at the bottom left is at the First Basin, part of the Cataract Gorge. 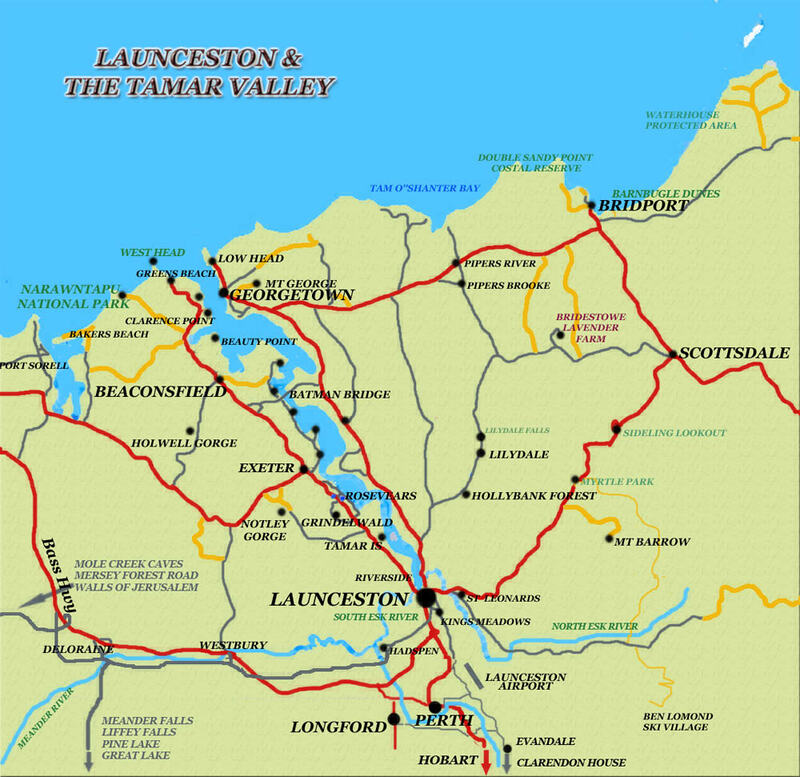 At the top right is one of Launceston's newest assets, the $8M Queen Victoria Museum and Art Gallery at the Inveresk Rail Yards site. 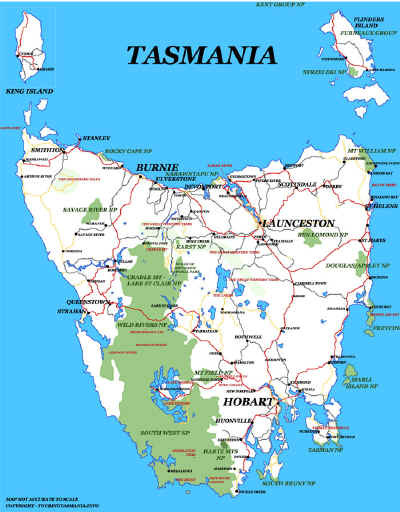 The bottom right is York Park oval, Tasmania's Australian Football League venue.